We hope you have seen the positive changes that have begun to take hold at the Eagle Bike Park over the last year. The City of Eagle has demonstrated their commitment to the park by signing a lease agreement with the county, committed much needed funds for the maintenance and development of the trails… and hired a new parks and recreation director along with two part time trail coordinators. The city is also in the midst of creating a five year plan which comprehends the usage needs of all user groups and has already reached out to our biking community for our input during a meeting that many of you may have attended in February. While this increased level of support was unanimously supported by the vote of the full council, the park’s most ardent supporters has been three key council people —Mary Defayette, Mark Butler and Norm Semanko. As you may know, Norm Semanko resigned recently leaving a vacancy on the council. The Mayor is in the process of trying to fill that opening and is holding a city council meeting [today], Tuesday (4/2) at 7PM (Eagle City Hall) to seek public comment on his potential selection to fill that seat. 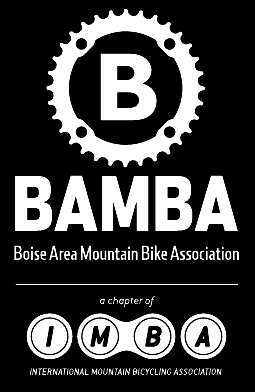 BAMBA is advocating that the City appoint an appointee who, like Mary, Mark and Norm, possesses a progressive mindset in regards to the Eagle Bike Park. The city council also needs to know that we not only support the positive direction that has been taken by the city but also directly support the council members who made these positive steps possible–namely Mark and Mary. While on a ride last week, I met a family from California who came to check out the park. They were curious where they needed to pay to use the park. They were shocked to find out this incredible (free) resource that was managed by the city. They said this type of park would never be possible back home. We are so lucky to have the park and now more than ever, the park needs us. If you have ever said to yourself, “I really should show up to the next trail day and put in some time…” then showing up on Tuesday (4/2) at 7PM to show your support for those who continue to make this park possible maybe the best hour you could contribute to the future of the park. Please consider attending the meeting and voice publicly your support for the park and those who are making this support possible–Mary Defayette and Mark Butler. This entry was posted on April 2, 2013. It was filed under Uncategorized.